The use of industrial automation technology has been growing rapidly because of the higher productivity and profitability it generates. Welding is one of the complex manufacturing processes. According to stats, half of the world’s robots are used for welding operations. The advancements in industrial technology now enable us to automate almost every welding operation. The automated welding system can help businesses get rid of the ineffective manual process and increase the quality of their product. We can divide the automated welding processes into two categories: fully automatic and semi-automatic. In fully automatic welding operation, a custom-built device performs almost every aspect of an operation from loading and indexing to quality control and unloading. On the other hand, in a semi-automatic setup, an operator manually loads the workpiece and a weld controller organizes the operation in accordance with preset parameters. After completion, the operator unloads the workpiece. Does quality matter in your business? What are the consequences if an end customer receives a substandard product? What are the issues that can be resolved with automation technology? What level of automation does your production system need? How much can you afford to invest in order to optimize your welding operations? With an ability to produce up to five times faster than humans and move quickly between the joints, a robotic welding system can bring about a dramatic increase in output. Humans can perform welding tasks to a certain limit. On the other hand, robots can perform the same tasks continuously for days without compromising the quality. Manual welding involves a number of health risks; exposure to toxic gases and fumes can cause serious health issues. Robotic welding improves the overall safety conditions in a facility. Automated systems are programmed to correctly size the welds without causing expansion or contraction in surrounding metal during heating and cooling process. Automation technology gives manufacturers a competitive advantage by allowing them to deliver quality products in a limited time period. Manual welding can lead to larger welds resulting in wastage of time and resources. Automatic machines are programmed to always weld to the right size and length that reduces energy consumption and increases productivity. Automation technology has revolutionized almost every industrial process, from manufacturing to human resource management. If you are looking to stay competitive and successful in the long run, automate your welding operations to achieve quantity and quality at the same time. Before purchasing a robotic welding system, select a supplier that has the required resources, skills, and technology to deliver the custom-built welding systems that align well with your production processes. 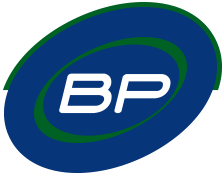 BP Automation, in Canada, designs and manufactures high-quality custom welding and other automation solutions; visit their website or automaton facilities in Canada and US if you need help regarding your automation needs.